This is a remarkably well preserved specimen of an Ophiuroid (brittlestar) known as Urasterella verrucucolsa. 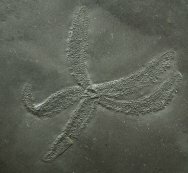 The species name derives from Ophiurid's verruculose exoskeleton, a word that means covered with wart-like prominences. 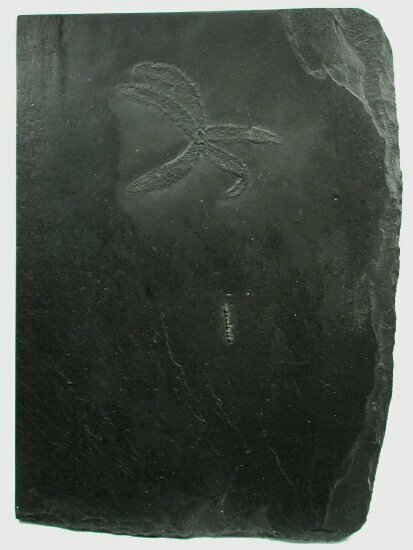 The Hunsruck slate is famous for its fossils, many of which have pyritization present. 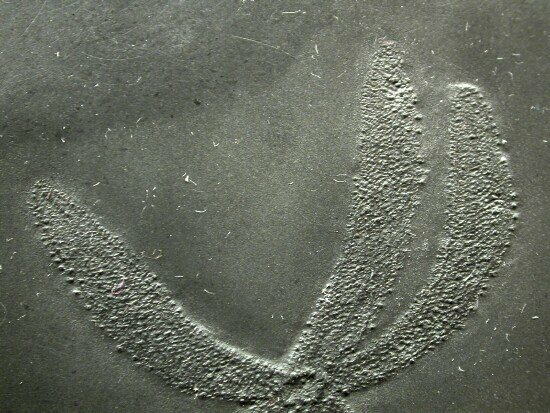 Rapid burial and pyritization was what led to the many wonderful examples of early Devonian life from the region. 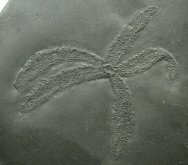 The chemistry of the silt was such that low organic content and high levels of iron and sulfur allowed the pyrite to diffuse into the tissues rather than be deposited in the sediment. The mudstones were metamorphosed into slate during the Carboniferous. 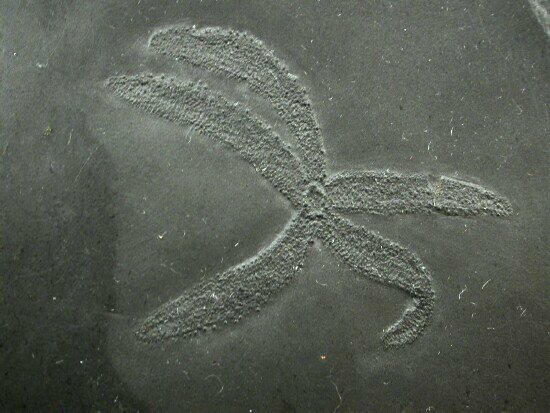 This brittlestar exhibtes the superb preservation which made the slates famous.